Myriam, 83, is a Jewess living in the Beka'a valley in Lebanon. She has never been to Israel, only a few miles away. But she wants to be buried in the Holy Land. Myriam tells her moving story here (scroll down to sound file). She remembers a few Hebrew phrases from the Jewish school she went to in Beirut. She grew up in the multi-confessional environment of Lebanon - Christians and Muslims would vie for the chance to be her family's 'Shabbat goy'. She had intended to go to Israel to get married: her aunt had arranged for her to meet suitors there. But by some twist of fate, her mother broke her leg and insisted that Myriam stay in Lebanon to look after her. She cashed in her air ticket and eventually married an Orthodox Christian. She used to speak to her family in Israel on the telephone. However, the Jews of Lebanon became the target for vengeance attacks. "Being Jewish is not an illness," she says defiantly. "We're all human," digging up for the France Inter interviewer her Hanukiah and an artefact with the Ten Commandments from among her crucifixes. She pushed aside her anti-Jewish friends as all contact was cut off between Lebanon and Israel. "Israel is my country, my religion", she says. 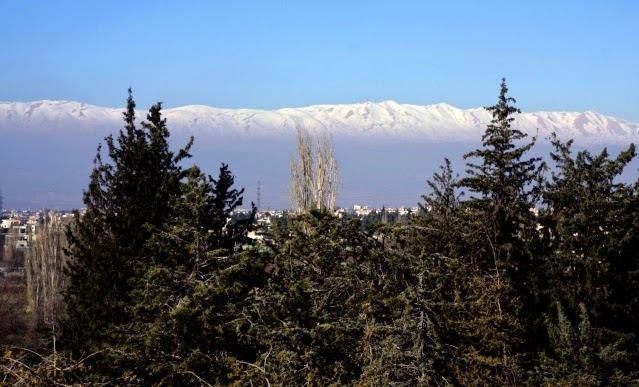 Although she has never been there, she wants the tiny Jewish community of Lebanon (less than 30 members ), contrary to her children and grandchildren's wishes, to help her achieve her last wish of burial in Israel near her mother's body.